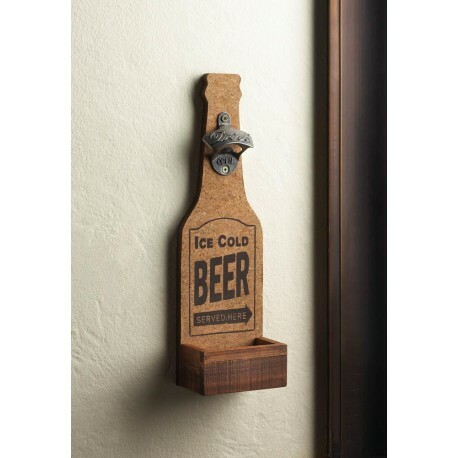 Add a little "throw back" charm to your wall with this functional decoration. This "ice cold beer" bottle opener is mounted on a beer-bottle shaped wood frame with a bottle cap catcher below! 4.25" x 2.75" x 14.5". Iron, Fir Wood.